Last week saw the sad death of a great man, Steve Jobs, co-founder of Apple. By a strange, and sadly well timed, coincidence I recently finished my Mac & Cheese print, featuring an Apple computer. 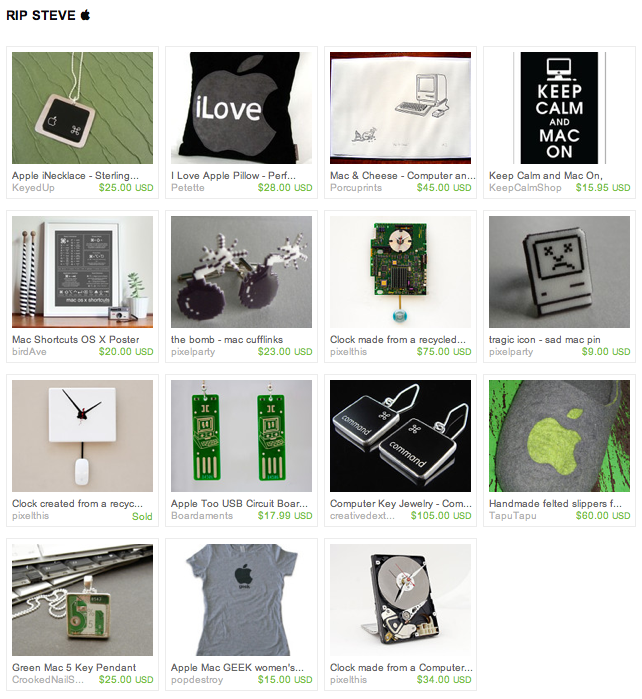 A few days ago Margo Ogloblina featured my print in a wonderful tribute treasury on Etsy. The treasury is called RIP STEVE . It made my day!